Named after the historic Florence Mill that stands at this location, the park is expected to become a major focal point for downtown Forest City. 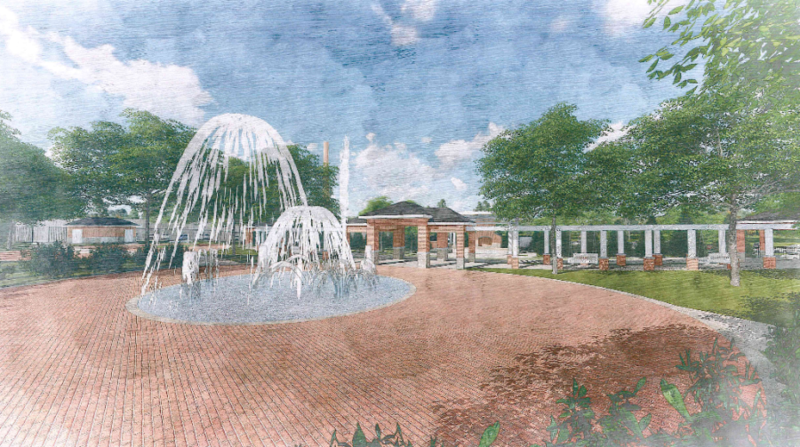 Preliminary plans include an amphitheater for outdoor concerts and special events, concessions, restrooms, pavilion, picnic areas, splash pad and green space. With a completion date set for spring 2018, visitors and residents alike can’t wait for it to open. You can follow the progress through their Facebook page. The Thermal Belt was a railroad corridor that once connected Rutherford County with the rest of the world. Today, approximately 8 miles of the trail is already open to walking and biking and is a local and visitor favorite to explore. 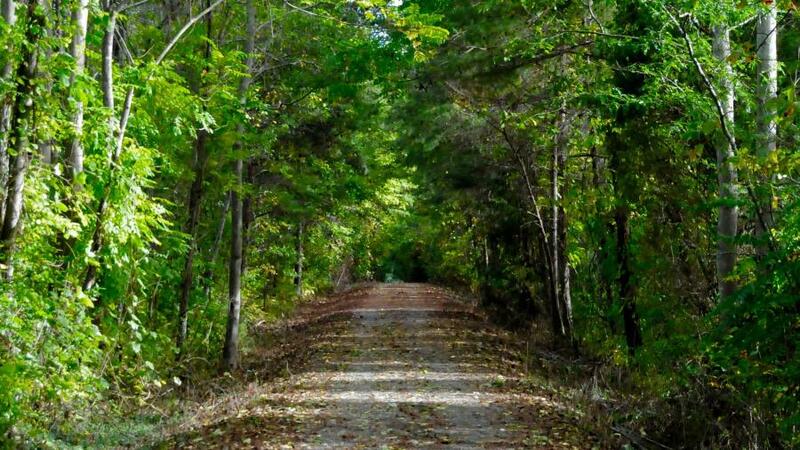 In 2018, the rail trail will be expanded more than 5 miles into Forest City, boasting a total length 13.5 miles and connecting the towns of Ruth, Rutherfordton, Spindale, Forest City and other rural parts of Rutherford County. 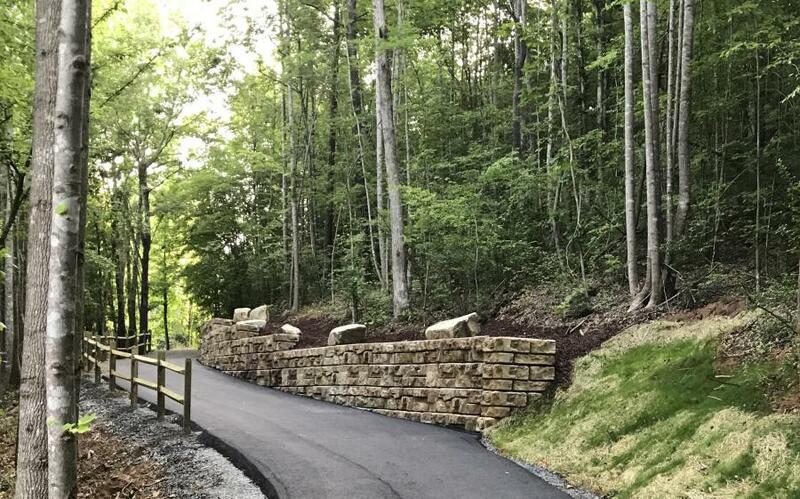 Once completed the entire length of the trail will be paved to 12-feet wide and include directional signage, information about nearby attractions, easy on-and-off crosswalks and many more additions that will enhance the user’s experience. Named after the Purple Martin bird on General Griffith Rutherford’s Coat of Arms, the Purple Martin Greenway has already doubled in size, twice, since opening in late 2016 and is poised to do it again in 2018. Located in Rutherfordton, the greenway is an escape that explores wildlife, fauna, creeks and waterfalls under a natural canopy of trees. Conveniently located near shops and restaurants, it’s an effortless stroll alongside natural beauty, providing an ideal break from the day’s routine. 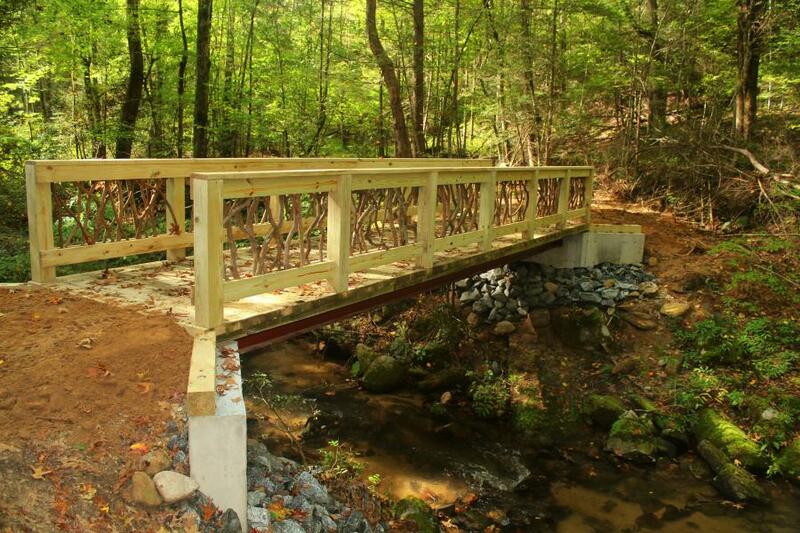 The next phase of the trail will follow Cleghorn Creek through downtown Rutherfordton and connect to Kiwanis Park, a historic path once taken by the famous Overmountain Men on their way to victory in King’s Mountain and part of the National Overmountain Victory Trail. As a multi-use destination, the Buffalo Creek Park was designed for mountain biking with switchbacks, berms and rollers for jumping, but it is also ideal for hikers, trail runners and nature lovers. The current phase has a 3.5 mile loop and a one-mile extension. The trail is challenging due to the elevation change, but that doesn’t keep people away. Many flock from miles around to take on the challenge and experience the beautiful scenery that surrounds them at every turn. 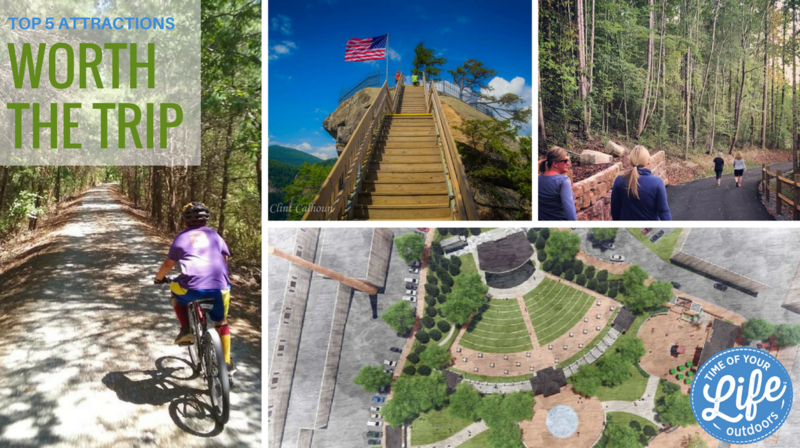 The next phase of the trail will be the Weed Patch Mountain Trail, an 8-mile long connection from the end of the current extension to Eagle Rock on Chimney Rock State Park land. The Weed Patch Mountain Trail, a truly backcountry cycling and hiking experience, will officially open in 2018. Higher, Wider & More to See! 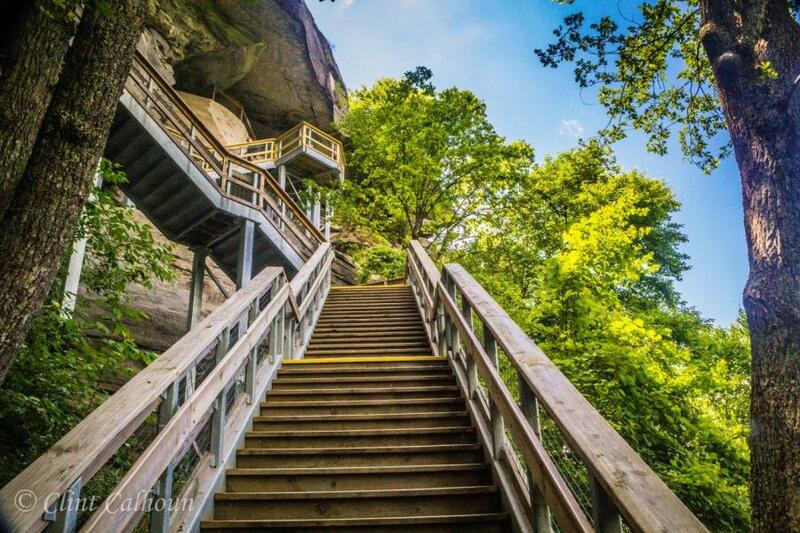 In the coming year, visitors will see an impressive set of brand new stairs that will lead from the top parking down to the Hickory Nut Falls trail. These stairs are higher, wider and more substantial than the previous stairs, and will offer more resting areas and different views of the Park. The expanded deck at the base of the Outcroppings trail has created a new venue and more intimate setting - perfect for small weddings, special programs and activities. Park officials are also quite optimistic that the elevator will be back in operation by 2018, but visitors agree that even if you can’t take the elevator up, the climb is worth it to experience the 75-mile panoramic view offered at the top. What the heck, let’s give you one more, just because we are SO EXCITED about it! A collaboration between the Rutherford County Visual Artists Guild and the Town of Rutherfordton will result in a new community Art Park downtown, located just up street from the before mentioned Purple Martin Greenway. The Art Park will consist of a walking “History of Art” exhibit that will take visitors through different art movements from as early as petroglyphs and cave drawings all the way through modern art today. It will include famous works of art and artists from each movement including Egyptian Art, the Renaissance, Impressionism, Surrealism and many more. Sounds amazing doesn’t it? But wait, that’s not all, the park will also feature a section on the importance of healthy eating and having an active lifestyle in a health and fitness section sponsored by RHI Legacy Foundation, that will feature hand crafted workout equipment, fitness challenges and herb garden, accented with an artistic flair that will create a truly unique experience for the visitor. The park will also include a Reduce.Reuse.Recycle section that speaks to the importance of recycling and the effects it can have on our environment. Sponsored by the Town of Rutherfordton, all art featured in this section will be crafted from recycled materials and encourage people to think of how they can reuse everyday items, they normally throw away, to create their own artwork. 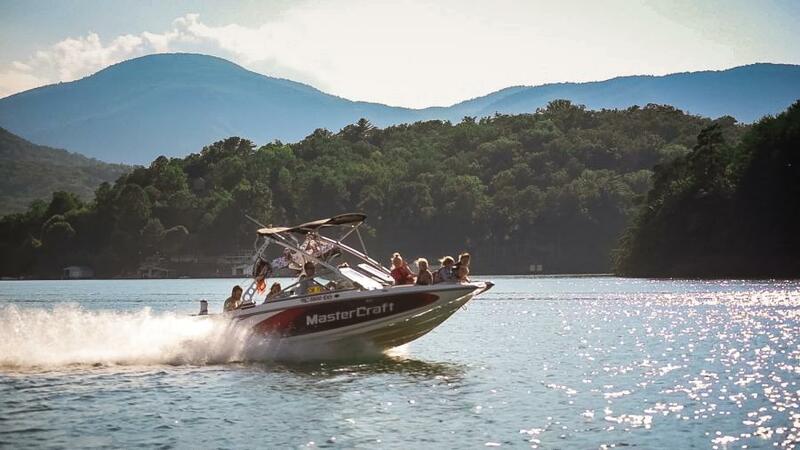 Experience all the wonderful things we have to offer, enhanced by the beauty of Western North Carolina. If you missed our recap of the Top 10 Buzzworthy Moments from 2017, you can get the full story here. Come have the Time of Your Life in Lake Lure & the Blue Ridge Foothills and explore the 5 small towns that make up Rutherford County. It will be one of the most memorable vacations you ever take!